Below are highlights from the Mumm Napa Privacy Statement. Please read the full Mumm Napa Privacy Statement for full details explaining how we handle the information we collect from you. We will collect information about you ("personal information") as needed to identify, contact and locate you. In many cases, we collect the information directly from you. We may also collect information about you when you use our mobile applications or services and how you interact with us online via cookies and other automated means. We may also combine the information we collect from you with information obtained from other sources to help us know our customers better. We use your personal information to fulfill your requests for products, services and information, deliver marketing communications, send personalized content, including interest-based ads, administer promotions and sweepstakes and for other everyday business purposes, such as making back-ups and for legal compliance. to Mumm Napa affiliates around the world who may only use it for the purposes listed above to our service providers who only use it to perform the services we have requested, or when required to do so by law or in connection with the sale of our business. We will never share your personal information with unrelated third parties for their own marketing unless you have given us your consent. You can opt out of receiving marketing communications and interest-based ads. Click here to read about all of your choices. Mumm Napa respects your right to privacy. We have developed this Privacy Statement to inform you how we handle the personal information you provide to us. We may update this Privacy Statement from time to time. If we make any material changes to this Privacy Statement we will notify you by sending a notice to the primary email address provided to us or by posting the revised Privacy Statement on our website. What types of Personal Information do we collect and how do we collect it? When is your Personal Information disclosed to others? Transaction Information about how you interact with Mumm Napa, including your purchase history, customer account information and information about how you use the Mumm Napa websites and mobile applications. We may share your Personal Information with our affiliates, who may only use your Personal Information in compliance with this Privacy Statement. We may share your Personal Information with joint marketing partners, but only if you have given us your consent. We may also disclose Personal Information where needed to affect the sale or transfer of business assets, in connection with a bankruptcy proceeding, to enforce our rights, protect our property, or protect the rights, property or safety of others, or as needed support external auditing, compliance and corporate governance functions. We will also always disclose Personal Information when required to do so by law, such as in response to a subpoena, including to law enforcement agencies and courts in the countries where we operate. Please note that we may also use and disclose information about you that is not personally identifiable. When you visit our website, we place cookies on your device. Cookies are small text files that websites send to your device or other Internet-connected device to uniquely identify your browser or to store information or settings in your browser. Cookies allow us to recognize you when you return. They also help us provide a customized experience and enable us to detect certain kinds of fraud. In many cases, you can manage cookie preferences and opt-out of having cookies and other data collection technologies used by adjusting the settings on your browser. All browsers are different, so visit the "help" section of your browser to learn about cookie preferences and other privacy settings that may be available. We may use Flash Cookies (also known as Local Stored Objects) and similar technologies to personalize and enhance your online experience. The Adobe Flash Player is an application that allows rapid development of dynamic content, such as video clips and animation. We use Flash cookies for security purposes and to help remember settings and preferences similar to browser cookies, but these are managed through a different interface than the one provided by your web browser. To manage Flash cookies, please see Adobe's website at http://kb2.adobe.com/cps/526/52697ee8.html or visit www.adobe.com. We collect many different types of information from cookies and other technologies. For example, we may collect information about the device you use to access our website, your operating system type, browser type, domain, and other system settings, as well as the language your system uses and the country and time zone where your device is located. Our server logs also record the IP address of the device you use to connect to the Internet. An IP address is a unique identifier that devices use to identify and communicate with each other on the Internet. We may also collect information about the website you were visiting before you came to Mumm Napa and the website you visit after you leave our site. Mumm Napa has relationships with Google and other third party advertising companies to deliver interest-based advertisements, targeted to you based on your demographics, brand preferences, online behavior and similar factors. These companies may also perform tracking and reporting functions for us on this website and other websites. These companies may place cookies on your device when you visit our website or other websites so that they can display targeted advertisements to you. These companies do not collect Personal Information in this process, and we do not give any personal information to them as part of this process. However, this Privacy Statement does not cover the collection methods or use of the information collected by these companies. For more information about third party advertising, please visit the Digital Advertising Alliance (DAA) at www.aboutads.info/consumers. Mumm Napa complies with the Self-Regulatory Principles for Online Behavioral Advertising as administered by the DAA. To opt out of being targeted by some third party advertising companies, you may visit www.aboutads.info/choices. While Mumm Napa does provide the ability to opt-out of certain targeting advertising as described in this Privacy Statement, we do not respond to "do not track" (a/k/a DNT) signals or similar mechanisms transmitted by web browsers. To learn more about browser tracking signals and Do Not Track please visit http://www.allaboutdnt.org/. Mumm Napa offers mobile applications that allow you to interact with us and receive personalized content, interest-based ads and other information via your smartphone. When you download our mobile applications, you may choose to allow us to obtain your precise location from your mobile device. We use this information to customize our response to your requests. We may also offer automatic (or "push") notifications. We will provide push notifications only to those customers who opt-in to receive such notifications from Mumm Napa. You do not have to provide location information to Mumm Napa or enable push notifications to use any of our mobile apps. If you have questions about location and notification privacy, please contact your mobile service provider or the manufacturer of your device to learn how to adjust your settings. 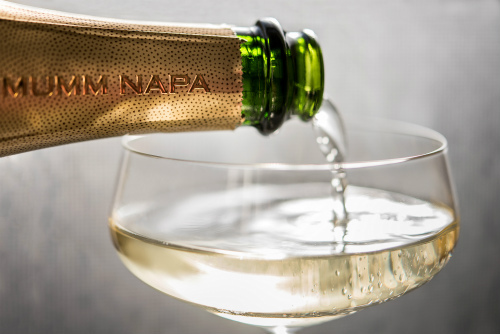 You can always limit the information you provide to Mumm Napa. You can also limit the communications that Mumm Napa sends to you. To opt-out of emails, simply click the link labeled "unsubscribe" at the bottom of any email we send you. You can exercise certain choices with respect to interest-based ads as set forth above in the "Third Party Advertisers and Interest-Based Ads" section. Please note that even if you opt-out of promotional messages, we may still need to contact you with important transactional information about your account. For example, even if you opt-out of emails, we may still send you order confirmations and shipping notices. If you have any questions about your choices or if you need any assistance with opting-out, please contact us. Mumm Napa respects your right to access and correct your Personal Information. If you have an online account, you can log into your account at any time to access and update the information you have provided to us. If you need assistance updating your Personal Information, please contact us. Mumm Napa has implemented an information security program that contains administrative, technical and physical controls that are reasonably designed to safeguard your Personal Information. For example, we use industry-standard encryption technology to secure sensitive Personal Information when it is being collected and transmitted over the Internet as well as firewalls, site monitoring and intrusion detection software. However, we cannot guaranty that all security measures will be 100% effective at all times. Therefore, you acknowledge that the risk of unauthorized access to your information still exists. We retain your Personal Information as long as needed for our business purposes, in accordance with applicable legal standards. Mumm Napa has affiliates around the world, and your Personal Information may be processed outside of your country. By providing us with your Personal Information, you consent to this transfer. We will always protect the privacy and security of your Personal Information in accordance with this Privacy Statement, regardless of where it is processed or stored. 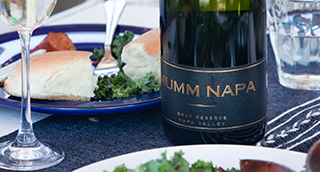 This Privacy Statement only addresses the use and disclosure of information by Mumm Napa. Other websites that may be accessible through this website have their own privacy policies and data collection, use and disclosure practices. We encourage you to familiarize yourself with the privacy statements provided by all third parties prior to providing them with information or taking advantage of an offer or promotion. 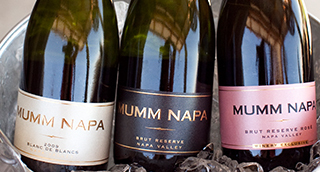 Mumm Napa may offer "tell-a-friend" functionality on our website. If you choose to use this function, we will collect Contact Information for your friend. We will automatically send your friend a one-time email with the information you specified or inviting him or her to visit the site. Mumm Napa uses this information for the sole purpose of sending this one-time email and does not retain the information. 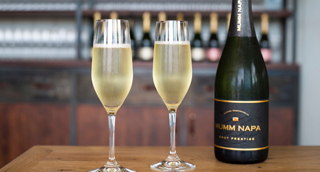 If you apply for employment with Mumm Napa, the Personal Information submitted with your job application will be used only for recruitment and other customary human resources purposes. Please visit our Career Center for more information.